With progressive rock dying a quiet death in the late 1970's, and ultimately when foundation groups like Genesis and Yes switched to radio-friendly AOR/pop music by 1983, along came Marillion. 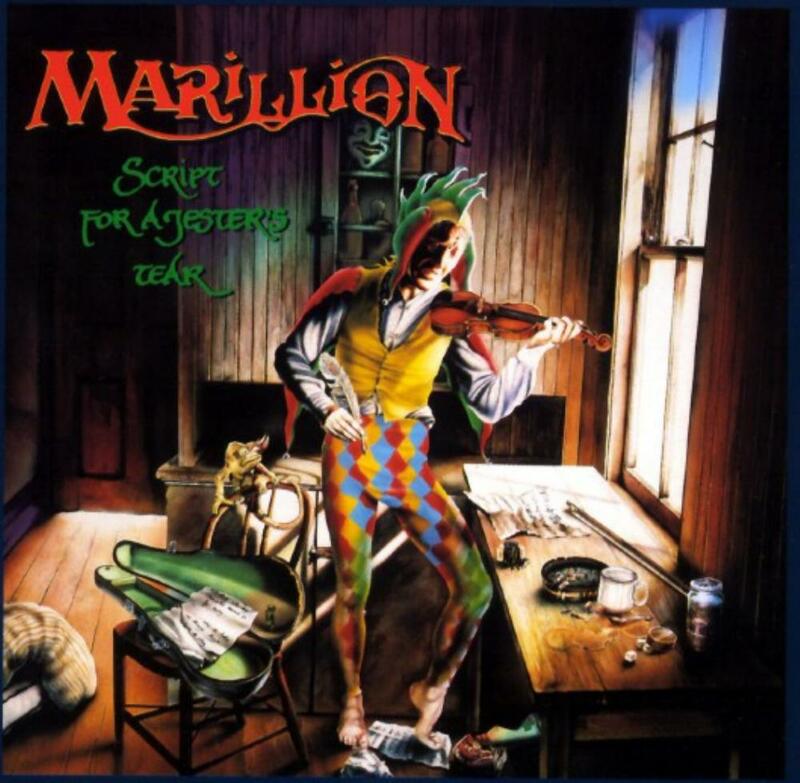 Marillion's debut album Script for a Jester's Tear was the lone beacon of hope for prog rock in the 1980's, amidst a sea of digital pop songs, drum machines and an endless wallpaper of MTV videos. It actually did quite well in the U.K. considering the time period, but was basically lost in the U.S. (Indeed, I myself only discovered it 13 years later). Marillion started what would later be called the neo-progressive movement, a long list of bands chiefly influenced by Genesis, Yes, and symphonic prog rock, but with varying doses of AOR sensibilities allowing much of their material to be more "radio friendly." Unfortunately very few of these bands ever got any radio airplay, especially outside of the U.K.
Marillion's Script for a Jester's Tear is the foundation of neo-progressive rock, the ultimate pinnacle of this much maligned sub-genre. Led by vocalist Fish, Scotland's answer to Peter Gabriel, the group would construct some of the most thoughtful and compelling lyrics and subject matter since pre-Lamb Genesis. Keyboardist Mark Kelly became the 1980s answer to Tony Banks, though tended to focus more on atmospherics then solos. Script for a Jester's Tear has some of the lushest synths I've ever heard (like Genesis meets Eloy), and it's nice to hear more analogue synths then the digital ones that became so prevalent during this time. Steve Rothery is quite a skilled and competent guitarist, not quite in the same league as the prog greats, but very respectable nonetheless occasionally suggesting a Gilmour influence here and there. Drummer Mick Pointer is exceptional, though I don't think Marillion makes as good use of his skills as he would show later when he joined Arena (Pointer would leave after this album). Finally, the group is complete with excellent bassist Pete Trewavas. Each song on Script for a Jester's Tear is a masterpiece, musically and lyrically. It is probably the best symphonic prog rock album released since Close to the Edge and Selling England by the Pound. Well deserving of five stars, a must-have for all symphonic and neo prog fans, and a historically significant contribution to the genre.